The problem with numbers is that though they may be objective on paper, the reasons behind them are often quite subjective. For example, the fact that a company’s website isn’t generating enough leads might be a black-and-white fact, a number etched in stone that’s lagging behind expectations. While identifying a marketing problem is relatively easy, correcting that problem is sometimes difficult. Since generating leads makes the boss man and the sales team happy, let’s take a look at ways you can make “your numbers” numbers you’re proud of. While website overhauls can be painful, your site is your storefront to the worldwide web. Just like you’ll drive right by a old, run-down gas station in the dead of night for a clean, well-lit one, if your site is behind the times Internet visitors will keep passing you right on by, too. Redesigning a website takes an integrated commitment from your marketing team, as well as from your entire company. While some teammates will be more heavily involved, the project will affect everyone—even if it’s just dealing with the speed bumps that come from such a transition. But as they say: no pain, no gain. If you feel like your website needs an overhaul, it probably does. More than ever, the way people experience the web is with smartphones and tablets. Early on these devices were used more for surfing, but today they’re also used to make purchases, just as you would with a desktop or laptop. That means your website needs to be responsive across a wide range of devices and screen sizes. If your website is not mobile-friendly, it’s a very quick way to alienate visitors from the get-go. Often, tackling Reason #1 represents a great opportunity to ensure that your website’s layout is responsive. That said, most existing sites—unless they’re absolutely ancient—can be converted, mercifully, to mobile-friendly status. Your search engine optimization (SEO) efforts are critical for generating organic traffic to your website. In many ways—and especially if your company is in a hyper-competitive field—finding your site on the Internet is much akin to hunting for a needle in haystack. Using the appropriate keywords for your business is also just the tip of the iceberg; great SEO comes from targeted content creation, content marketing and link building that takes time. Many marketers cut corners by buying links or keyword spamming, but those practices are fool’s gold. Great SEO comes from a strategic approach—or by hiring an expert. Even if all of your inbound marketing channels are driving quality traffic to your site, if visitors aren’t sticking around it’s much harder to generate leads. From your home page to your product descriptions to your blog posts, visitors who have arrived need a reason to stay and interact. That reason is quality content, typically in the form of information that will help them solve a problem. The content, in many ways, is your site’s value proposition. And when visitors don’t find value, they’re going to look for it elsewhere. Strong content, especially when coupled with SEO, can make all of the difference in the world in driving customers to your site—and ultimately can help turn them into leads, too. If we’re splitting hairs, this could be Reason #4A. Your premium offers are still considered content, but they are unique, and they are critical. When a visitor encounters a premium offer, it means they are on the cusp of a commitment. Even if you’ve done everything right up until this point of lead conversion, the wrong offer can sabotage all of your efforts. A premium offer, at its core, is an information exchange. Maybe you’re only asking for a visitor’s email address. Maybe you’re asking for more. Either way, in exchange the content you’re offering in return for that commitment must be stellar, and represent equal or better value. While we hope this is helpful, we also know many marketers will continue to be bound by “their numbers,” the same way pro athletes are often defined by their stats. Fair or not, these are a few ways for marketers to turn the numbers in their favor. That way, the next time that metrics meeting comes around, you can walk into the boss man’s office with a grin plastered wide across your face. 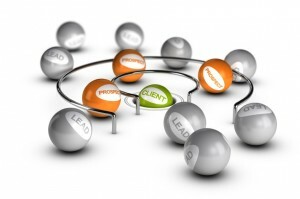 Is your website generating enough leads? We’d love to know the challenges you’re encountering.